A quick recap on the wild 2018-19 winter season with Adrian Ballinger. The 2018-19 winter season was a winner for most skiers and riders. From Wyoming to Washington state, over to Tahoe, across Colorado and even New England, everywhere saw some powder days this season. But, with the amazing conditions came some incredibly interesting and sometimes terrifying occurrences including massive avalanches across highways, in-bounds avalanches at ski resorts and extreme temperatures across the United States. And while some regions are celebrating their hefty snowpack, all of this winter moisture will have an impact on this summer’s conditions in the outdoors. With the hope of having a better understanding of what this extreme winter means long-term, we talked to Adrian Ballinger, AMFA/IFMGA certified mountain guide, high-alpine expert and co-owner of Alpenglow Expeditions, headquartered out of Squaw Valley. Adrian Ballinger is a mountaineer, skier, business leader and respected guide who founded Alpenglow Expeditions in 2004. Where do you spend most of your time guiding and skiing? I am one of three owners of Alpenglow and we are located at Squaw, so I ski there a lot. We have 30 international expeditions on 6 continents each year, and then we have a robust rock climbing and skiing outfit that stretches all over California. I’m headed to climb Mt. Everest now and it will be my 12th season doing so. We had an interesting year out west with more avalanches than usual in frequented areas. Can you tell us a bit about why you think that was? I do think this season was unique and a few different factors can partially be contributed to climate change. It’s the ‘weirding’ of our weather and an overall changing of our weather. In Colorado, for example, we usually see more shallow storms and this year we saw massive storms. Another example of these extreme conditions at Tahoe. Normally, we have a stable and predictable snowpack and this year we had both warm and cold weather and so we had to deal with multiple weak layers. Can you give an example of how this ‘weirding’ directly impacted the day-to-day at resorts? Sure, when we consider in-bounds skiing, we know patrollers get used to managing how and when things happen across their mountain. And then things change, and that can be when conditions become dangerous. Keep in mind these are incredible professionals with decades of experience, but even they can be surprised with what ends up sliding at their resorts. "We need to be able to look at patterns and that’s becoming harder…"
The heavy snowfall has positively impacted snowpacks all over the west, so other than safety, is there really anything to be worried about? All of this moisture is absolutely a good thing. But I think that this year we saw the extreme as very wet and that doesn’t guarantee any moisture in future years. Skiers may argue this year that this season was the best of their life, but there were increased hazards and what I think is going to continue is the general uncertainty. And uncertainty leads to risks in the mountains. 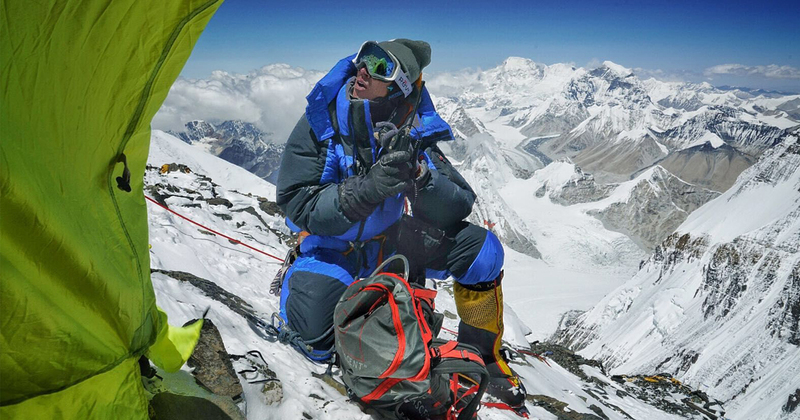 We need to be able to look at patterns and that’s becoming harder and we are seeing that all the way to Everest, where even the summit window is harder to predict. Adrian out skiing with girlfriend, Emily Harrington. What should folks keep in mind after big snow storms if they are skiing in-bounds? The ski patrollers do an incredible job at making their terrain safe for skiing, it’s important to reiterate that. It’s cool we can go and enjoy such amazing terrain and be safe most of the time. But after seeing more in-bound slides this year, it’s a reminder that we have to have an awareness that we are going out in the mountains. After a big storm, I always think ‘am I skiing with a buddy?’ Someone should know where I am, and I should know where they are. I ski with an avalanche beacon and a small shovel and probe at the resort if there is a lot of new snow. 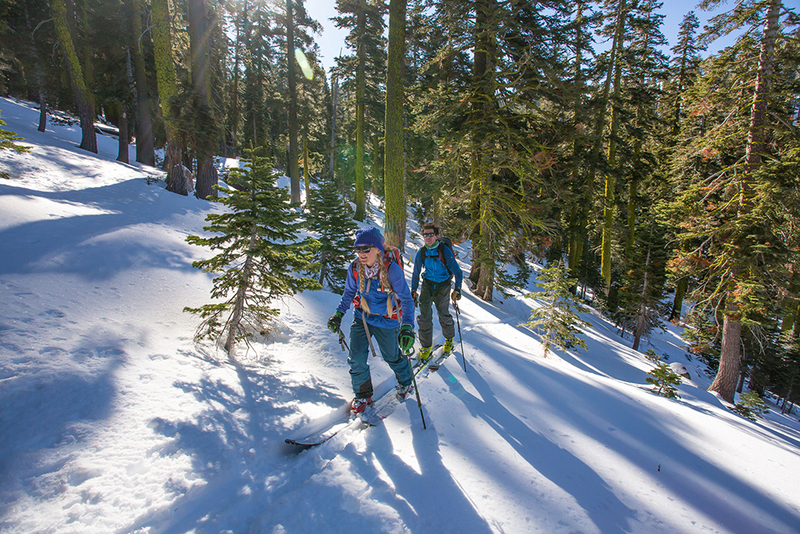 That is not for everyone, but if you’re even starting to explore skiing in the sidecountry or going in the backcountry, you should consider carrying your education over to the resort. Any final tips to the average skier or rider? Avalanche education doesn’t have to be a multiday, intensive course where you have to be a backcountry skier. There are 3-6-hour courses that give people a general overview of what to look out for and how weather effects snowpack. To learn more about Adrian’s work, go here. And, you can follow Adrian on his various adventures here. All photos supplied courtesy of Ballinger.